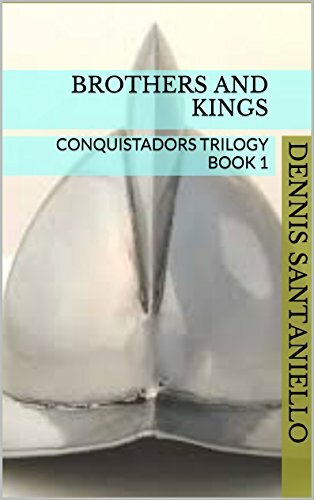 â€œCONQUISTADORSâ€ is a book trilogy that explores the Spanish conquest of the New World from the years of 1527-1542. The genre is Historical Epic, and the storytelling is wide in scope with various characters and events unfolding within spans of years. The story is told from a truly dualistic point of view, from both perspectives of the Spanish and the Natives. Each story depicts a different Spanish expedition, but in the end, this is Sardina’s story. We follow Sardina through the jungles of Peru, to the vast Arizona deserts, to the Mississippi River; seeing his transformation from a young idealistic soldier to harden veteran, and later to a self-realized individual. Thematically, all stories are about the sacred vs. the profane, and each story follows a certain pattern: conquest, obsession, and madness. Other aspects are also explored including religion, (of both the natives and the Spaniards), the realms of power, cruelty, and the angst of those trying to find meaning.